Partners In Care Alliance Society (PICA) is the continuation of a mission started 40 years ago by a diverse group of people concerned about the treatment of those needing end-of-life services, especially in Metro Vancouver. British Columbia was the least-regulated funeral and cemetery market in North America, and the big funeral conglomerates had a near-monopoly. Only a handful of family-owned and operated funeral homes remain. Tom Crean, a founding member of PICA and a passionate advocate for ethical end-of-life care, was part of the original group. Having grown up in a family business that has served the community for over a century (Kearney Funeral Services), he has long advocated for transparency, accountability and ethical standards in end-of-life care. Starting in 1979, Crean and the Family Funeral Home Association fought against the predatory practices of funeral conglomerates that buy up family funeral homes and cemeteries and operate them strictly as profit centres rather than as the vital, caring hubs of comfort, compassion, and community they once were. In 1989, the association partnered with the PICA caregiver community and, in 1991, following years of unrelenting advocacy by PICA, B.C. banned telephone and door-to-door solicitation by funeral homes and cemeteries. That put an end to the practice of subjecting seniors to high-pressure tactics of less-than-scrupulous salespeople – at least within their own homes. In 1994, the late Rev. Bernice Gerard, a visionary spiritual leader, formally joined PICA. She and Crean rallied hundreds of concerned citizens to oppose the privatization of the City of Vancouver’s only public cemetery – Mountain View. PICA’s hard work paid off when the City voted to keep the cemetery public rather than turn it over to one of the conglomerates. PICA has expanded to include other community-based caregivers – nurses, social-workers, doctors, and clergy – as they educate the public about the critical differences between funeral conglomerates on the one hand, and local funeral and burial providers on the other. More recently PICA has been bolstered by the addition of seniors’ groups and the co-operation of the Consumers’ Association of Canada. Crean is now tasked to recruit ethical Family Funeral Home owners to the cause, and to organize Family Funeral Home Associations in every U.S. state and Canadian province. In 2015, PICA learned of an opportunity to create more affordable burial options in the Metro Vancouver area. This entailed purchasing an eight-acre parcel of land in Surrey, getting it rezoned, developing it, and operating it as a sustainable cemetery that offers the widest burial and memorialization options. PICA was not in a financial position to purchase and develop the property, so Crean and several partners took it upon themselves to make the cemetery a reality. Heritage Gardens, on 16th Avenue in South Surrey, finally came into being in 2018. It’s the first new cemetery to have been approved and developed in an urban area in British Columbia in nearly 60 years. To facilitate business transactions and networking among community groups, PICA has established a Partners In Care Alliance Co-Op. Thanks to this co-op arrangement, Heritage Gardens is able to offer plots at a fraction of the cost charged by the funeral conglomerates. Heritage Gardens also makes a donation to PICA from every such purchase. PICA, in turn, supports the community by way of donations and other practical assistance. It’s a win-win-win scenario. PICA is now working to help establish affiliate chapters in every province, territory, and American state. Since laws vary, each chapter has to be established separately. Heritage Gardens’ owners have committed to upholding the consumer-protection principles and ethical standards long espoused by PICA. 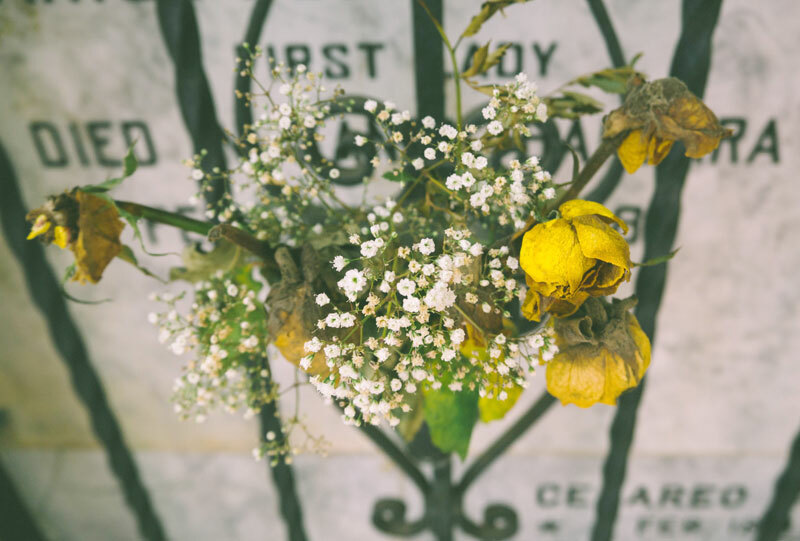 In addition to providing the widest possible range of burial options and memorialization, they also offer the most reasonable pricing structure. Burial plots can be purchased for a fraction of what they cost at conglomerate-owned cemeteries. Another notable initiative in the works is the proposed Heritage Solidarity Garden to memorialize labour unions and fallen workers. Last year alone, B.C. lost 131 workers to job- related injury and disease. To draw attention to this largely overlooked human tragedy, a memorial sculpture is being commissioned. The Federation of Canadian Artists are soliciting proposals from their 54,000 members, with the winning sculpture to be unveiled at an International Day of Mourning reception at the cemetery in 2020. For information about PICA, or to download a two-page Estate Planning checklist, visit: www.partnersincarealliance.org. The site also provides a useful link to the Province of British Columbia’s official Advance Healthcare Directive. It’s a way to leave clear instructions for loved ones preparing for the end of life.